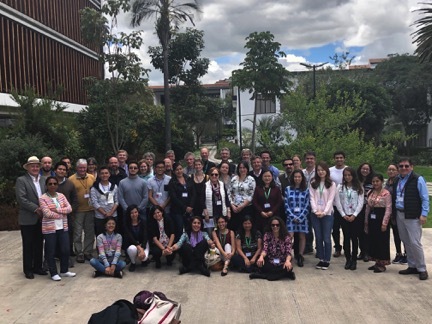 The International Conference on Past Plant Diversity, Climate Change, and Mountain Conservation was aimed to address this question, with a focus on mountain (montane) species. As climate warms, there are several outcomes for montane species. They can migrate upslope, go extinct, or adapt to the warming conditions. Given these options, we got together to discuss our most recent datasets, and the best strategies for the conservation of montane species. Effective conservation strategies are crucial for the survival of many rare and endemic montane species, because climate is indeed warming, regardless of what Trump or Fox News tries to tell people. 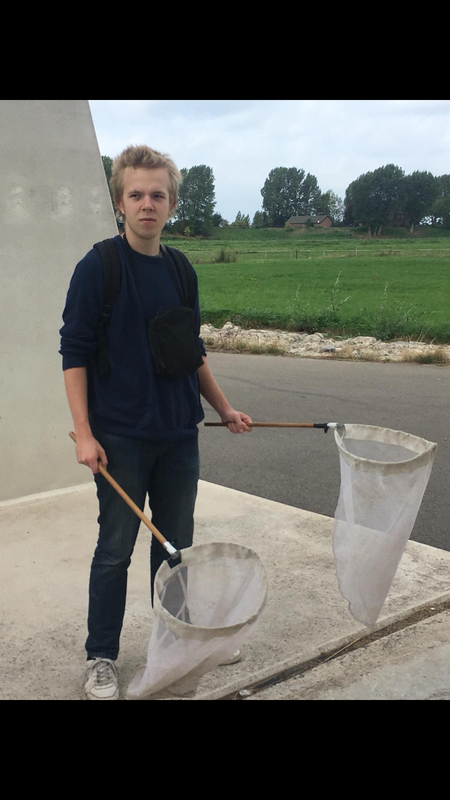 Mick ready to catch bumble bees! The paper we discussed was “Columbus’ footprint in Hispaniola: A paleoenvironmental record of indigenous and colonial impacts on the landscape of the central Cibao Valley, northern Dominican Republic” by Castilla-Beltrán et al (2018). The paper provides a multi-proxy paleoecological reconstruction of the Caribbean island nation of the Dominican Republic, spanning the last 1100 years. Personally I found this to be a very interesting paper, packed with information and interpretations on the impact of anthropogenic factors on past Caribbean environments. What this paper nicely demonstrates is the difference in impact between pre-colonial and post-colonial societies on the vegetation of the Dominican republic. Pre-colonial Hispaniola was inhabited by indigenous societies, the Taíno people, and while this paper clearly shows them having had an environmental impact in the form of fire management (e.g. for slash and burn agriculture), small scale deforestation and the introduction of cultivars such as maize and squash, their environmental impact remains modest compared to post-colonial disturbances. Columbus arriving in AD 1492 signified a moment of change in the landscape. The paleorecord suggests that, after an initial collapse of the Taíno population, the colonization of the Dominican Republic by the Spanish brought with it deforestation, crop monoculture and the introduction of European livestock, all of which still characterizes the landscape to this day. The discussion mainly focused on the chronology used. One of the radiocarbon samples was excluded from the age-depth model for no apparent reason, which led us to discuss the importance of critically evaluating your calibrated radiocarbon dates and which ones to incorporate in your age-depth model. The age-depth model currently used implied a shift in pollen composition c. 30 years before the arrival of the Spanish. We were unsure how to interpret these findings because you would expect the shift to happen afterwards, so my initial thought was that it had to be a fault in the chronology. This chronology however does imply a large charcoal peak followed by a rapid decline that coincides precisely with the arrival of the Spanish, and it turned out that this was the reason the authors settled on this chronology. Even though this paper by Castilla-Beltrán et al. didn’t spark any heated discussions, its incorporation of ecology, botany, history, archeology and geology still showcases the interdisciplinary nature of paleoecology, something I very much enjoy about this field of research. 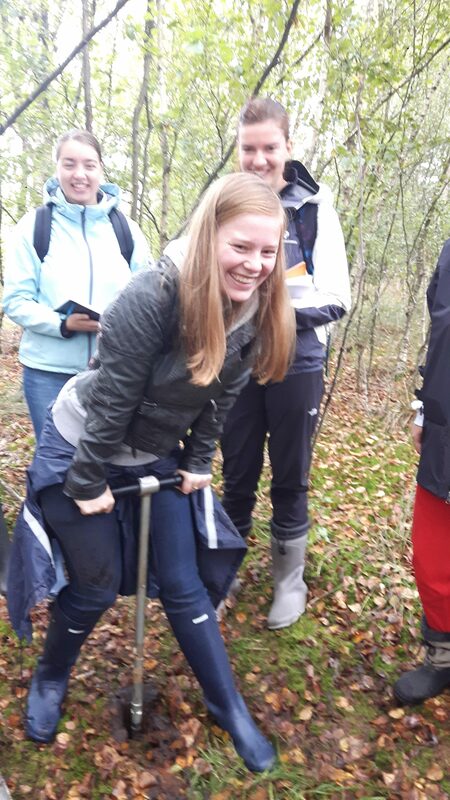 This is the first is a series of blog posts based on papers discussed at our “Amsterdam Palaeoecology Club” meetings. The APC meetings are organized to promote palaeoecological discussion and to help the scientific development of our MSc and BSc research students. At each meeting we discuss a paper and the progress of individual projects. Short summaries of the papers and discussions are then made by the student introducing the paper. First up is MSc researcher Rianne van Duinen with her thoughts on Kaplan et al. (2016). We discussed the paper “Large scale anthropogenic reduction of forest cover in Last Glacial Maximum Europe“ by Kaplan et al. (2016) which was found by the group to be super interesting and it incited a lot of discussion. The paper was mostly concerned with the anthropogenic influences and past vegetation of Europe. The main conclusion was that humans had a very big impact on forests during the last glacial period through the use of fire. The authors suggest that human actions are the explaining factor for the low amount of forests cover suggested by pollen records during the last glacial maximum (c. 21,000 years ago). The suggestion from Kaplan et al. that human modification of forest cover through fire during the glacial links with a recent study from Sevink et al. (2018) that suggests, based on pollen and charcoal data from the Netherlands, that human use of fire altered forest cover into the Holocene. In our discussion it was also noted that animals (mega-herbivores) were not really taken into account or discussed, even though animals probably had a big impact on the vegetation (e.g. see Bakker et al., 2016). Furthermore, another discussion point was the charcoal records that were used in the Kaplan et al. study, more specifically the number of cores. Kaplan et al. only used three cores to map out the effect of charcoal. It would be interesting to see what happens when more data from more cores is used. The Global Charcoal Database has a lot of data on European cores (c. 38% of the cores are from Europe) so there is a lot of potential for this. All in all, the article by Kaplan et al. raised a lot of questions and opened up a nice discussion. 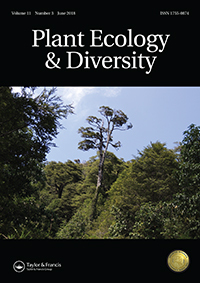 I recently joined the editorial board of Plant Ecology & Diversity at the invitation of editor-in-chief Laszlo Nagy (University of Campinas, Brazil). The journal focuses on ecological and evolutionary issues within plant biology with broad themes covering biodiversity, conservation and global change. Furthermore, I think this is a particularly interesting journal to be involved with because of its option for double-blind peer reviews, commitment to providing a platform for ‘negative results’ and ‘repeat experiments’, and its open access Grubb Review series (Nagy & Resco de Dios, 2016); which already includes many significant articles, including: Ashton (2017), Barbeta & Peñuelas (2016), Grubb (2016), Körner (2018), Valladares et al. (2016), and Wilkinson & Sherratt (2016). In addition to the invited Grubb Reviews the journal publishes: research articles, short communications, reviews, and scientific correspondence. My role on the editorial board will be to cover submissions related to tropical palaeoecology and biogeography. So please consider submitting to Plant Ecology & Diversity if you have some exciting new research or ideas that you think would be appropriate. To visit the TERRANOVA websitde click here.